Clients, colleagues and friends came together to celebrate Baca’s 10th Birthday this October. 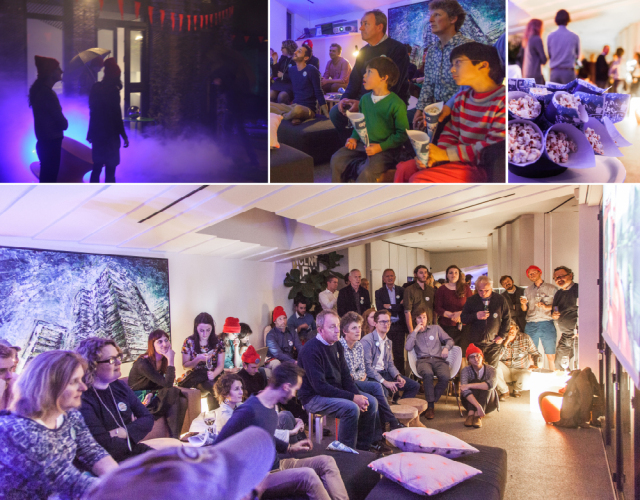 The party was a double celebration, with guests enjoying popcorn along with the canapes and wine as they watched the debut screening of the Baca-designed Amphibious House on C4s Grand Designs. The party was hosted at Director Robert Barker’s fabulous Forest Mews Home, recently nominated for further awards for its design and innovative use of materials. Baca would like to thank everyone who could make it on the night and has been a part of making the company the success it is today. We look forward to the next exciting decade.